The following picts are from the 1:35 kit. 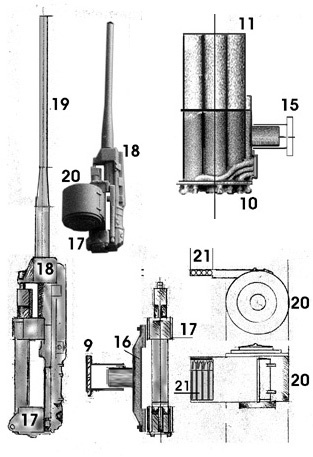 1 and 2: gun and amunition box; 3: optics and frontal shield; 4: six tube racketenwerfer. Bellow: details of the kit assembly instructions. Click to enlarge. Anti-tank multiple rocket salvo possible.